Historically, powwows have been a time for neighboring bands of the same tribal groups to come together to reconnect, participate in ceremonies and celebrate. When watching, feel free to take photos, but please, try not to use flashes that might distract the dancers. There are times when it could be inappropriate to take video or photographs, so be respectful. Please respect the cultural customs when attending tribally hosted events. Indigenous people revere their elders and veterans, and you may hear songs or prayers conducted in their honor. Please show your respect by standing and removing your hat during these special moments. It is customary for tribal people to offer food and drink or even a small gift to a visitor, so please, accept, it is considered polite to do so. 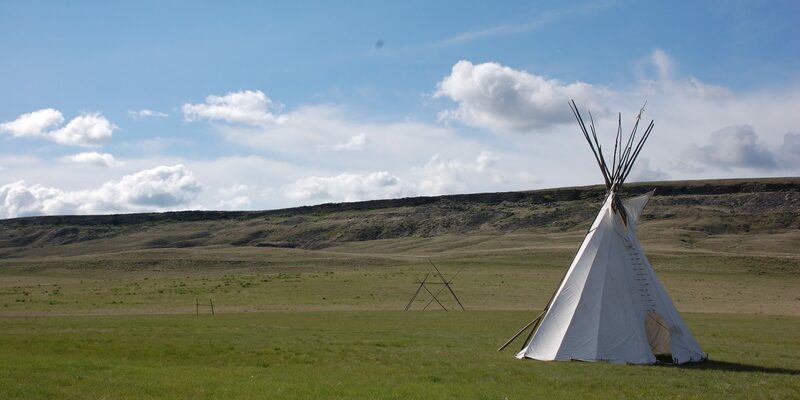 The Little Shell Elders and Veteran’s Traditional Powwow will be held at First People’s Buffalo Jump.